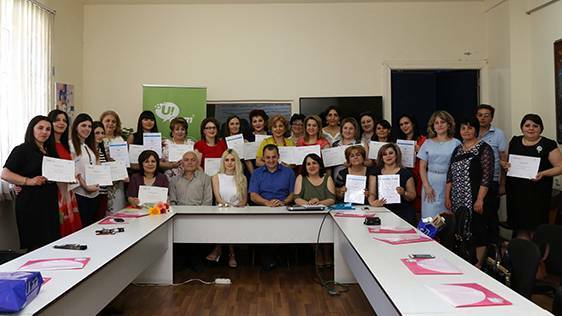 On June 16, 2017 the results of the first phase of “Safe Internet 2017” program were summarized, and 23 teachers of Informatics were awarded prizes and certificates. During the Safe Internet Day, celebrated in more than 100 countries in all continents across the globe under slogan “Let’s Change: Let’s Unite for a Better Internet”, Armenian users have also been urged to join efforts, in order to make the Internet safer and better for all and, particularly, for children and young adults. Ucom, jointly with “Media Education Center” and “Internet Society” NGOs, has initiated “Safe Internet Armenia 2017” six-month program. Within the scope of the first phase of this program open classes on safe use of the Internet and digital technologies have been held for over 10 000 children and their parents in 200 schools and colleges in Yerevan and regions. Within the scope of STOP. THINK. CONNECT.™ Campaign “STOP. THINK. CONNECT™: Chatting with Kids about Being Online” booklet, European SchoolNet’s and INSAFE’s “Our Dream Internet: Handbook for Young Adults and Teens” and “Our Dream Internet: Handbook for Teachers” have been published. During the first phase of the program works have been carried out in 32 schools in Armenia with a view to receiving the European-wide eSafetyLabel, a European quality accreditation mark for Internet safety. 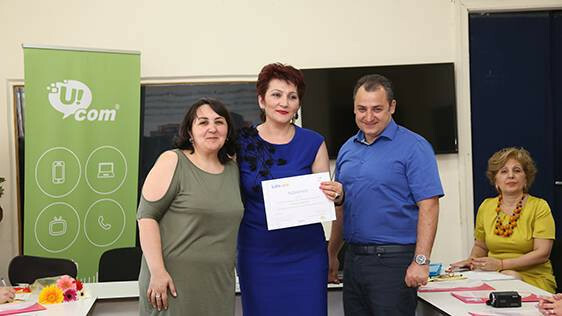 Within the scope of the program 25 teachers from Armenia participated in the European SchoolNet’s “Safe Internet for Teachers” six-month course, from whom 11 teachers with the best results were awarded European SchoolNet’s graduation certificates. Two teachers, having been involved in the Safe Internet program, participated in the Internet Governance EuroDIG 2017 and SEEDIG 2017 conferences. “Within the scope of its social responsibility Ucom gives serious attention to educational programs, and as far as this program is concerned, it’s expanding its boundaries year by year. As a large business we feel committed and put forth our best efforts to support the implementation of educational events dedicated to the use of advanced technologies,” - said Tigran Safaryan, Marketing and Communications Director at Ucom. www.safe.am contains information and advice in Armenian language necessary for safe use of the Internet. As stated by Haykaz Baghyan, Director at Media Education Center, the second phase of the program will focus on the development of natural and mathematical interdisciplinary educational content. As a reminder, “Safe Internet” program is dedicated to the International Safe Internet Day, celebrated since 2004 on the second day of the second week of the second month of each year. By expanding its boundaries year by year, the European-wide INSAFE initiative brings people together to fight illegal, harmful and inappropriate content.